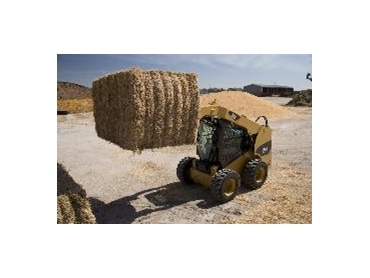 Caterpillar Pallet Forks from Westrac are used for a variety of material handling needs. When moving bulky or palletized materials on construction and industrial sites, handling bagged fertilizer and seed at landscaping and nursery sites WesTrac has just what is needed to get the job done. Notched rail-type carriage design allows Pallet Fork Tines to be easily replaced or changed and locked into place. Forks are loaded onto the carriage using a central cut-out for quick and easy change-out. Heavy-duty load backrest structure is functional, durable and easy to see through. It provides the Pallet Fork’s operator protection from shifting loads, while maintaining excellent visibility to the fork tips. Three pallet fork tine lengths are available for specific material handling requirements. All Pallet Forks are rated Class II.